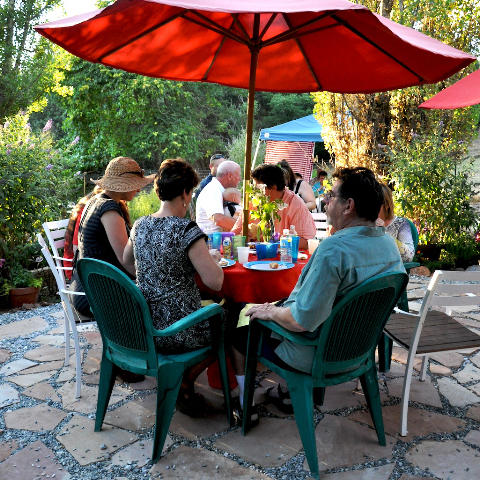 Last weekend we had a big fun party in Columbia, CA. (I wrote about the invites awhile back)! My mom and stepdad hosted a wedding reception for Chris and me because most of my family couldn't make it to the wedding in Georgia! We had so much fun... grilled chicken sandwiches, salads, watermelon, and a couple of kegs of beer for good measure (and good fun). I made yummy zucchini cupcakes with cream cheese frosting (thanks, Martha Stewart!). The kiddies didn't even know that they were eating vegetables! Haha. I'm sure there's enough sugar to cancel out any of the veggie goodness. 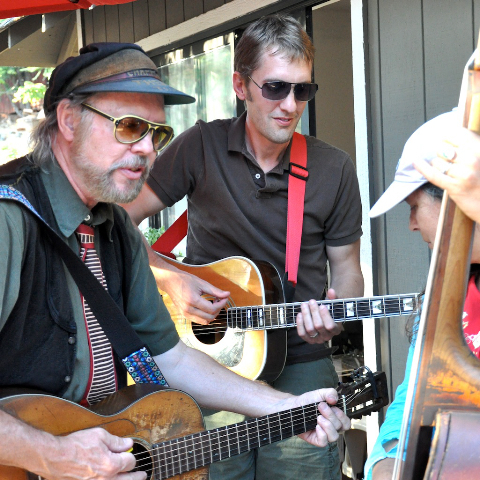 Chris and some pals played us a few tunes- bluegrass & eighties pop (yep, you heard me right, buck-o). 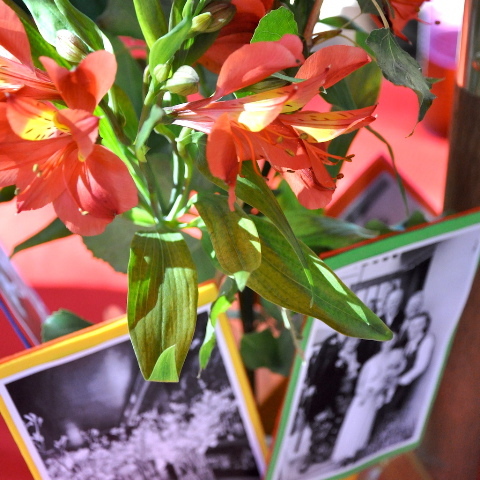 My mom made fans with photos from the Athens wedding and stuck them in the flower centerpieces. They were invaluable because it was 100+ degrees that day! She also framed our invitations and other photos and nailed them to the side of the house. Oh, and all that gravel and flagstone... yeah, my mom did that too! I took some shots with my new Holga camera, but haven't developed them yet. Stay tuned for some Holga handsomeness!